Ahhh…just one week until the big parade. Maybe the last one is just in our house and I guess it has no bearing on Thanksgiving at all. Either way, Thanksgiving is literally right around the corner and I, for one, am pumped. Yesterday, my mom sent out the annual group text with Thanksgiving dinner details, asking everyone to reply with what they are planning on bringing. I, of course, have yet to respond because I’m terrible at responding to texts. But, here is the thing. I’m happy to bring almost anything and most of the time, I wait to see what everyone else is bringing and then try to fill in the gaps. I love to bring a batch of my sausage filling because it’s my favorite, but after that, I am happy to bring Roasted Garlic Herb Cream Cheese Mashed Potatoes, Twice Baked Sweet Potatoes, cranberry relish or anything else we deem necessary to bring (this rarely involves a salad). I was brainstorming what I might bring, which led me to think about my grandma’s cranberry relish, which I blogged about 4 years ago (seriously, go look at the pics…on second thought, don’t.) This is a recipe that she has been making for years with fresh cranberries, oranges, apple, and walnuts all in a cherry jello base (although not so jello-y that it’s a jelly mold type of recipe). It is the recipe that saved cranberry for me, as I was never much of a fan of the canned stuff growing up. 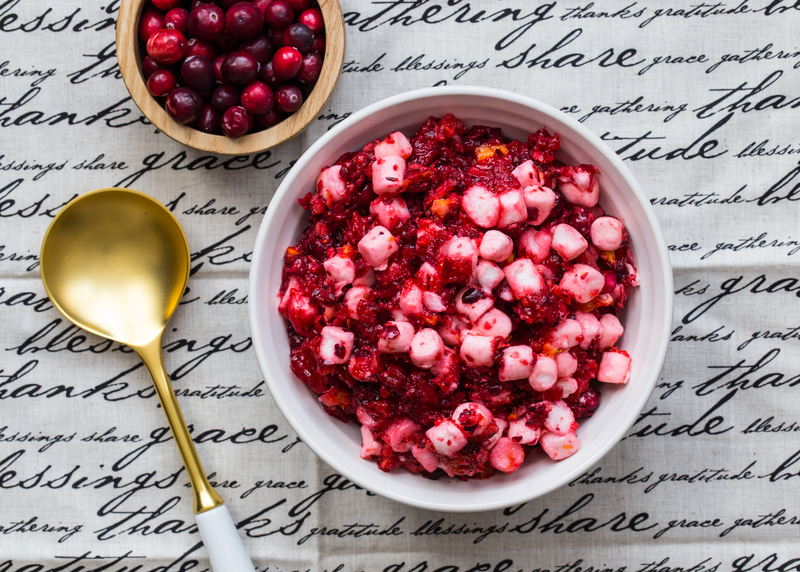 Her original recipe is amazing as is, but I have been seeing so many cool cranberry recipes that involve marshmallows that I decided I needed to try adding some Campfire® mini marshmallows to the original cranberry relish recipe turning it into a cranberry marshmallow relish, just to see what happened. I figured I would get something along the texture of our family’s queen salad, which is another jello/marshmallow wonder that is full of pineapple and is a mainstay at our Easter feast. It turns out, I was right! The Campfire® mini white marshmallows add a nice softness to the relish and help round out the tartness quite nicely. I am always hesitant to mess around with a tried and true recipe (especially one from my family) but this turned out to be a great experiment! Plus, mini marshmallows are totally acceptable in side dishes at Thanksgiving. 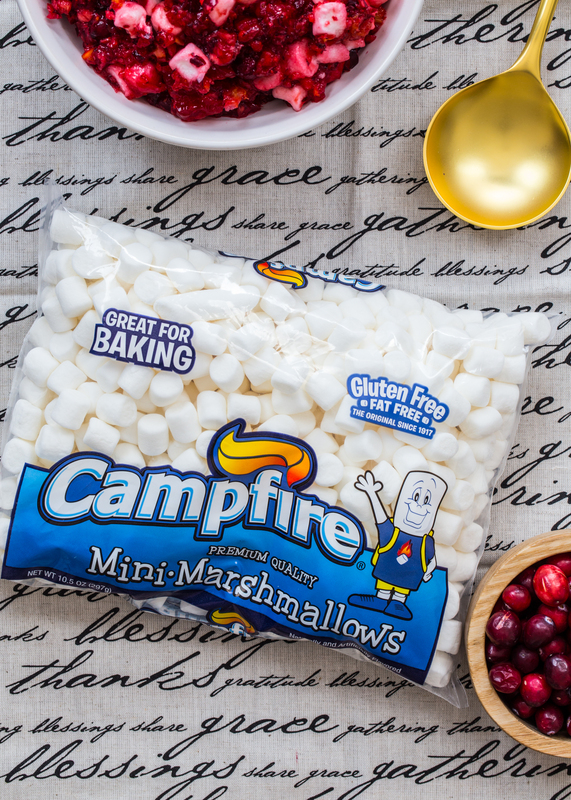 Be sure to check out Campfire® on their website, Facebook, Instagram, and our Marshmallow Madness Pinterest Board for more Thanksgiving and holiday cooking inspiration! In a large bowl, mix gelatin and sugar with 2 cups of boiling water. Stir to dissolve. Mix in 1 cup of cold water and set aside. In the bowl of a food processor, process cranberries, oranges and apple until they are in small pieces but not pureed. 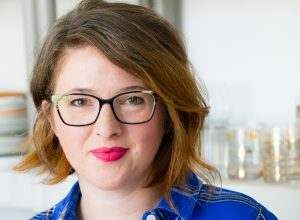 If using a small food processor, process in multiple small batches. Stir fruit into gelatin mixture until combined. Fold in mini marshmallows and walnuts (if using). Refrigerate 8 hours or overnight. 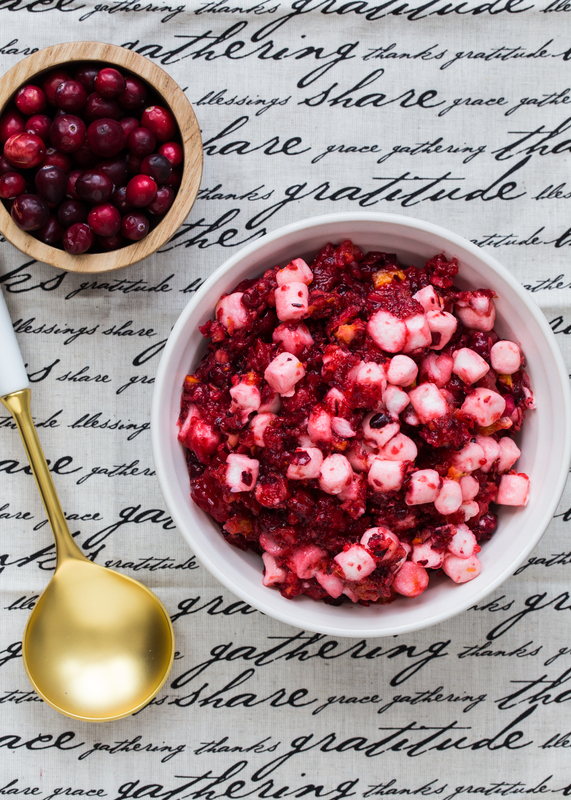 The marshmallows will want to float to the top of the bowl so stirring the cranberry sauce half way through chilling time helps distribute them throughout the relish.